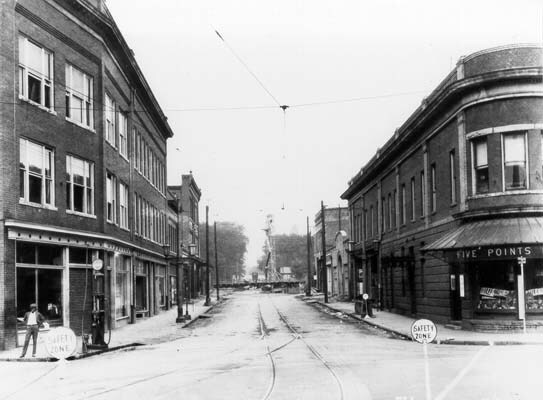 West Chapel Hill Street was initially a grade crossing at the railroad tracks, with the business district surrounding Five Points on the east side, and the large houses of the West End on the west side. 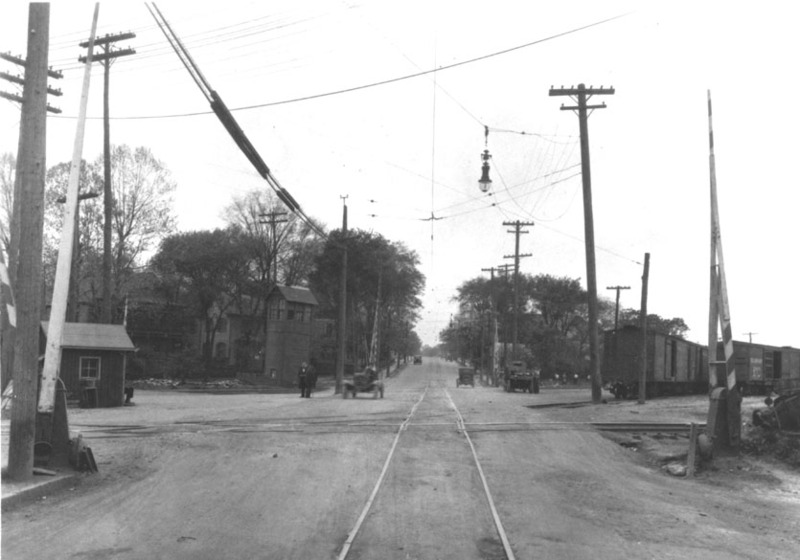 West Chapel Hill St. - another view looking west from Great Jones with downtown-bound trolley approaching crossing, 1920s. The busy West Chapel Hill St. crossing, from the Duke Factory, looking southeast. American Tobacco (the Bull building) is in the background. The wooden tower in this picture and others was for the crossing guard. 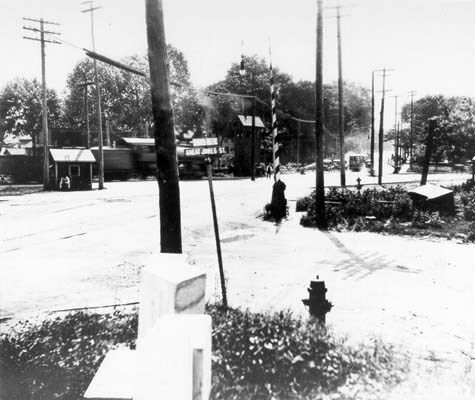 In 1922, the city passed an ordinance requiring the railroad to eliminate the grade crossing at West Chapel Hill St. Work started in 1924, and continued for the next several years. View looking west from Five Points at the beginning of construction. 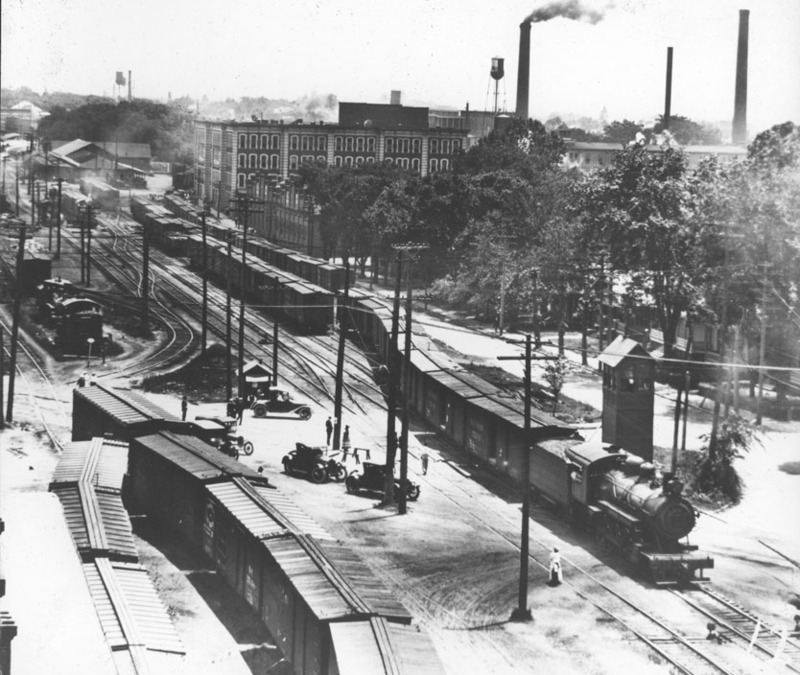 Looking east from the tracks towards Five Points. Looking east down West Chapel Hill St.
From Southgate Jones' front yard, looking northwest. The Terrace, moved from its previous site, is to the left. Notice the wrought iron fence from the Southgate Jones house dumped on the front lawn. Looking west from the new undepass up West Chapel Hill St. - large house on the left is at the corner of Pettigrew and West Chapel Hill St. next to (to the east of) the Southgate Jones house. 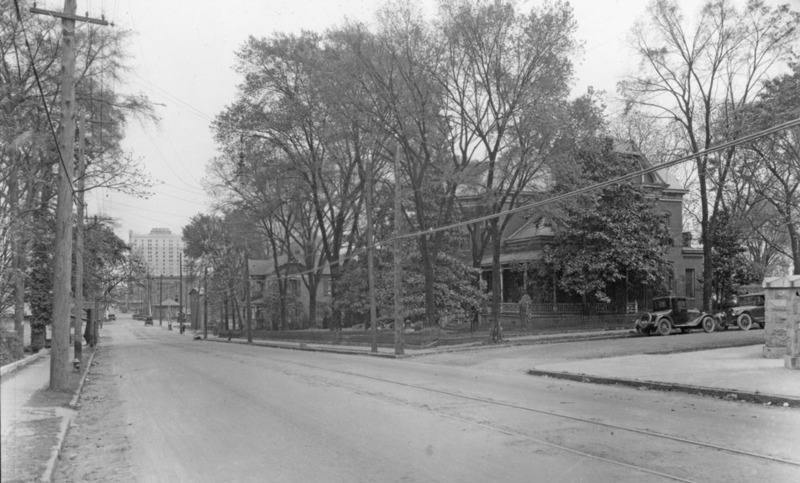 Southgate Jones house, looking southeast from West Chapel Hill St. While the topography around this underpass seems 'normal' today, views of the project make clear the extent to which the slopes around this underpass on Great Jones, West Chapel Hill, and Pettigrew, are artificial. The crossing from the middle of West Chapel Hill St. (showing my death-defying devotion to this blog! ), looking east. 1) It's interesting that proximity to downtown trumped any nuisance from the railroads - the houses at Willard, Duke, and Chapel Hill St. were among the 'highest-end' residences in Durham at that time. I think it challenges our notions of how 'protected' our residences need to be when proximity to other benefits increases. 2) The push to eliminate the grade crossing was undoubtedly a safety issue. But what were the more subtle, long-term consequences of creating a stronger division between Five Points and West End. As tension plays out between the city and the railroad at the Blackwell St. crossing (with the parties' positions reversed at this point) it's a reasonable question to keep in mind.